Amazon and Walmart have invested considerably in India’s fast growing E-commerce market. Walmart acquired Flipkart for $16 billion in the world’s largest Ecommerce deal to date in 2018. Amazon has invested around $6 Billion in India, but new rules are coming. 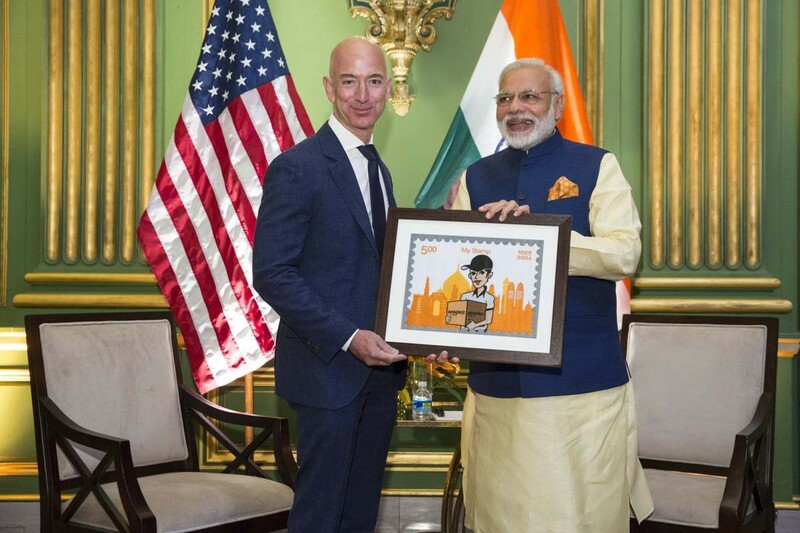 New restrictions put on India’s burgeoning e-commerce sector could potentially affect the way Amazon does business in the country. The restrictions may compel companies such as Amazon and Walmart to look for alternative business models and to reevaluate the sellers they work with at the moment. This is sort of a big deal since India’s e-commerce market will exceed $100 billion by 2022, with online retail and travel holding more than 90 percent share, according to global consultancy PwC. The revised e-commerce regs curbs kicked in on Feb. 1, 2019. The policy has spooked Amazon and Walmart-owned Indian rival, Flipkart, as it is forcing them to alter their business structures, according to Reuters. India allowed Amazon to retail food products in the country in 2017 and the company committed $500 million in investment. Amazon after an initial $5 Billion investment to scale in India, plans to add another $2 Billion in its fight with Flipkart (owned by Walmart) for dominance. Morgan Stanley warned that the new regulations would increase the cost of doing business and add uncertainty over losses for Flipkart. Walmart might be the bigger losers here actually since it’s pumped $16 billion to buy 77% of Flipkart in basically its biggest ever deal. Amazon is scrambling to reconfigure its business model, key partnerships and ownership structure to become compliant in India. It isn’t easy being Amazon, especially as Chinese tech companies are increasingly targeting India in different ways. In 2018, the Indian government published a circular that effectively banned Amazon and its local competitor, Flipkart, from selling products of companies in which they have an equity stake. Foreign direct investments would only be allowed into e-commerce companies that provide marketplaces for buyers and sellers, according to the new rules. The document said e-commerce firms could no longer form exclusive selling arrangements with sellers or offer steep discounts to consumers based on those deals. I’m following the future of E-commerce closely. Forrester predicts a minimum of 5 to 6 percent reduction in online sales (In India) for 2019 due to the policies as companies adjust. India cares about fair competition it would appear. The new rules have pleased (and encouraged) small traders who had long complained that Ecommerce giants used their control over inventory from affiliated vendors to create an unfair marketplace where they could offer discounts.